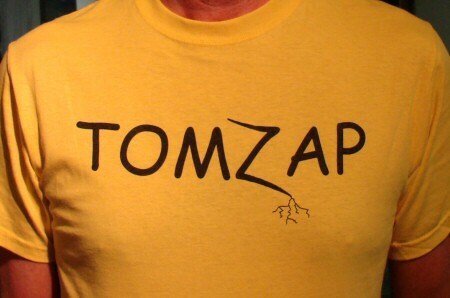 We have a new batch of Tomzap T-shirts and will now ship to Canada. in the US. Add $2 each for shipment to Canada. include the information needed to ship with the payment. Edited 3 time(s). Last edit at 06/19/2011 06:08PM by tomzap. These are 100% cotton Fruit of the Loom or Anvil brands "heavy" material. Edited 1 time(s). Last edit at 06/19/2011 06:10PM by tomzap.